Another old black and white TV series that I’ve recently added to my Plex streaming library is the original 1957 Raymond Burr 271-episode Perry Mason show. The show started airing when I was in third grade, but I’m not sure just when I began watching it. It’s all sort of confused with the Erle Stanley Gardner Perry Mason whodunits, which were among the best-selling paperbacks in those days. My mother was a big fan of the books, and there were always a few Perry Mason paperbacks lying around the house. At some point I began to read them as well, but whether it was before or after I started watching the TV show, I don’t know. I do know that by fifth grade I was an avid reader of the Mason whodunits, because of an incident that occurred on a class trip to the Capitol in Harrisburg. During a visit to a gift shop, I spied the rack of paperbacks and discovered a Perry Mason novel that we did not yet have, but when I tried to buy it, the sales clerk turned to our teacher, Miss Klopp (that would be Miss Irene Klopp) to see if it would be all right to sell it to me. You see, the Mason paperbacks invariably featured an illustration of a woman in a provocative pose, which generally promised a much more salacious read than was actually delivered. Miss Klopp sharply questioned me, and once I understood that they thought the book was too adult for me, I explained that my mother always read the books first and only allowed me to read them if she thought they were suitable. There was a kernel of truth in that. Anyway, they allowed me to make the purchase. I learned lots of useful things from the Mason novels, as Gardner tried to keep the forensic science and legal gymnastics as accurate as possible within the confines of his twisty, turny plots. So I became quite an expert on rigor mortis, how long after death it would take to manifest, how long it would last, and various techniques for delaying or extending it. Sticking the corpse into a freezer was a good one. I probably started watching the TV series around the same time that I started reading the novels. For me Raymond Burr is Perry Mason, Barbara Hale is Della Street, William Hopper is Paul Drake, and William Talman is Hamilton Burger. Only Ray Collins fails as Lt. Tragg; he’s too old compared to the character in the books although otherwise he’s perfectly fine. Anyway, I was curious to see how the Perry Mason shows would stand up after all this time, and to my delight, they hold up quite well. Erle Stanley Gardner maintained tight control over the scripts, and he was adamant about keeping the characters true to the spirit of the books and keeping the courtroom and other legal procedures accurate. He went through a dozen writers before he settled on a group that could give him what he wanted, thus delaying the show for a year. So the shows are reasonably faithful to the books; the main problem is fitting so much plot into 53 minutes (TV shows didn’t have so many commercials in those days). Oh, and I’ve also found The Perry Mason Book: A Comprehensive Guide to America’s Favorite Defender of Justice to be an invaluable resource. It has detailed information on Erle Stanley Gardner, the Perry Mason novels, comics, movies, radio shows, as well as the TV series (all of them) with interesting info about each episode. And no spoilers. My only beef: With all that data (the print edition runs over a thousand pages) there’s nary a word about the Perry Mason theme music or how it came to be written. That jazzy theme (actual title “Park Avenue Beat”) by Fred Steiner is one of the all time top themes ever created for a TV series. There’s got to be a story behind it! Update: I just realized that I wanted to name this “The Case of the Improper Cross-Examination” not “Incompetent”, but as my mother used to say, I schussled. That I know that answer and can retrieve it so handily is all because of Gracie Allen. Here's why. In 1811 William Henry Harrison became famous for his victory over American Indians at the Battle of Tippecanoe, and Tippecanoe became his nickname. So in 1840 when he ran for President of the United States, he used the campaign slogan "Tippecanoe and Tyler Too! ", John Tyler being his Vice-Presidential running mate. Alas, Harrison didn't get to enjoy his newly won office for very long, as 31 days after his inauguration he succumbed to pneumonia, making his presidency the shortest so far, and consequently Tyler's the shortest Vice-Presidency. I could recall Tyler's name so quickly because the slogan "Tippecanoe and Tyler Too!" is one of those trivial facts that seems to be burned indelibly in my mind. And the first time I ever heard that slogan was from Gracie Allen in one of her wacky non sequitur replies on an episode of The George Burns and Gracie Allen Show from the 1950s. This was long before I had any idea of what that slogan meant. So thank you, Gracie Allen! Via the science of DVRs, I finally got around to watching NBC's presentation of Rodgers and Hammerstein's final collaboration, "The Sound of Music", and I must say that I rather enjoyed it. Eight stars out of ten. Now "The Sound of Music" is not one of my favorite things (all those nuns and children, so much godly stuff), but it does have a tuneful score, and since they performed (mostly) the original stage play rather than the bowdlerized movie version, they included two of the best songs, the cynical "How Can Love Survive" and "No Way To Stop It" about the inevitable Nazi take-over of the world. OK, that's overstating it a bit; that song is also about Elsa's realization that she can't marry a "dewy-eyed idealist" like Captain von Trapp. I must give a nod to NBC, not just for airing the show, but for (mostly) avoiding extraneous and distracting overlays; they even played the ending credits without an annoying voice over. Though I could have done with fewer commercial interruptions; thank goodness for the skip-ahead button. The cast was (mostly) up to the task of presenting a musical on live TV. It's always great to see Christian Borle and Audra McDonald, and they were classy as Max and the Mother Abbess. Carrie Underwood, while she didn't erase memories of Mary Martin (and why should she? ), proved herself to be an accomplished musical actress in the role of Maria. Only Stephen Moyer, as an overly stiff von Trapp, was somewhat disappointing. Even the children were (mostly) not overly cute. The main problem with this production, however (as distinct from the material itself), was the off-kilter sound; the orchestra often overwhelmed the voices, sometimes even during the underscoring. But enough quibbles. I enjoyed it. I hope NBC (or some other network) does more like it. That's all that needs to be said. Breaking Bad -- The Menu! So I decided to have lunch at Sabrina's Cafe, and it seems I just can't get away from Breaking Bad. So I decided to have Skylar's 'Have an A1 Day' Stuffed French Toast. It was a bit much, but delicious! So who knew Walter White would transform into Momma Rose, right before our eyes? Walter White confesses to being Momma Rose the whole time. "I did it for me." 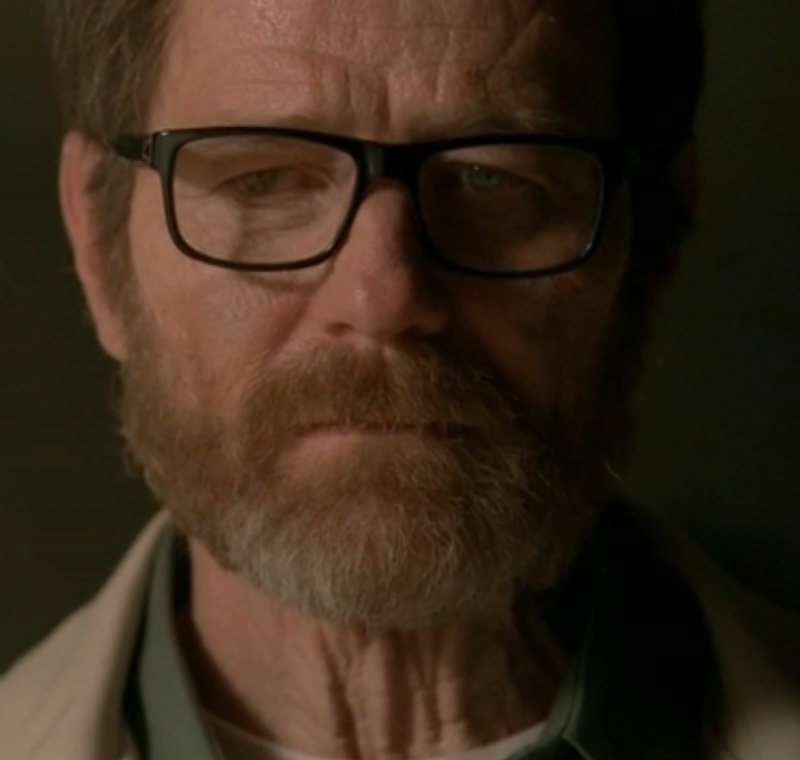 The series finale of Breaking Bad was possibly the most satisfying finale of any show I've ever seen. It hit all the right notes, but for the most part I didn't see any of it coming. When The West Wing first aired in 1999, I almost didn't watch it, as I thought there was no way that commercial broadcast television could possibly do justice to the premise. But I was wrong, and while the show did tend to simplify issues to get them to resolve in the 42-minute-plus-commercials format, it did a credible job of giving viewers a glimpse of what goes on behind the scenes in the White House. At least it did until Aaron Sorkin left the show and it became The West Wing for Dummies. But I digress. Recently I re-viewed the first season to see how it would hold up more than ten years later (although I have the DVDs of the first three seasons, it is far more convenient to view it streaming on Netflix). And the answer is: pretty, pretty well. Sorkin's dialog is still as fresh and snappy as ever, and the main characters are all well drawn, though I do find Martin Sheen's Josiah Bartlet a bit on the precious side. The theme music seems a bit pompous in retrospect, but overall the series still works. From this perspective, it's fascinating to see how blatant Leo McGarry's sexism is. And the Apple logo on the notebook computers is still upside down. And then there are all the actors in small parts who would go on to bigger and better things. There's Lisa Edelstein as a call girl, well before she became the the boss of Dr. House; and Reiko Aylesworth before she worked at CTU; and most startling of all is Lance Reddick in a barely credited role as a cop just before The Wire. Reading the sad news that Sally Starr has passed away at the age of 90 reminded me that I have a Sally Starr story that I've never written about.